Quandary Village holds some of the best valued of homes available in Breckenridge Real Estate. Located 8.5 miles south of the Town of Breckenridge, Quandary Village is the last subdivision before Hoosier Pass. Many of the lots and homes offer spectacular views of Quandary Peak, Northstar Mountain, Red Mountain, amazing down valley views back towards Breckenridge, Goose Pasture Tarn and the Keystone Ski Resort. 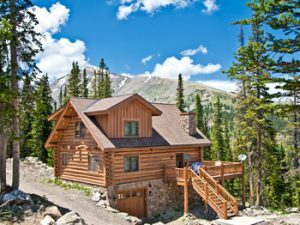 These properties have some of the best views in Breckenridge CO Real Estate. Within Quandary Village there are currently 108 houses built with an additional 200 vacant parcels of land for the discerning buyer to purchase and build their own dream mountain home. The subdivision does have homeowner dues that are billAed yearly to cover road maintenance and snow removal on the roads, homeowners are responsible for maintaining their own driveways. Purchasing in Quandary Village Sub aka Northstar Village will bring you close to several hiking trails. Quandary Peak is one of the more popular trails as well as McCullough Gulch and the Mohawk Lakes, just to name a few. Outdoor activities are in abundance south of Breckenridge near Quandary Village Sub aka Northstar Village yet it is only a short drive to Breckenridge Ski Resort. For additional information, and for a complete listing of condos, townhomes and homes for sale in Breckenridge CO Real Estate, contact Justin and Krystal Knott at LIV Sotheby’s International Realty.